Granite countertops are an extremely popular choice for kitchens and bathrooms these days and it’s easy to see why. 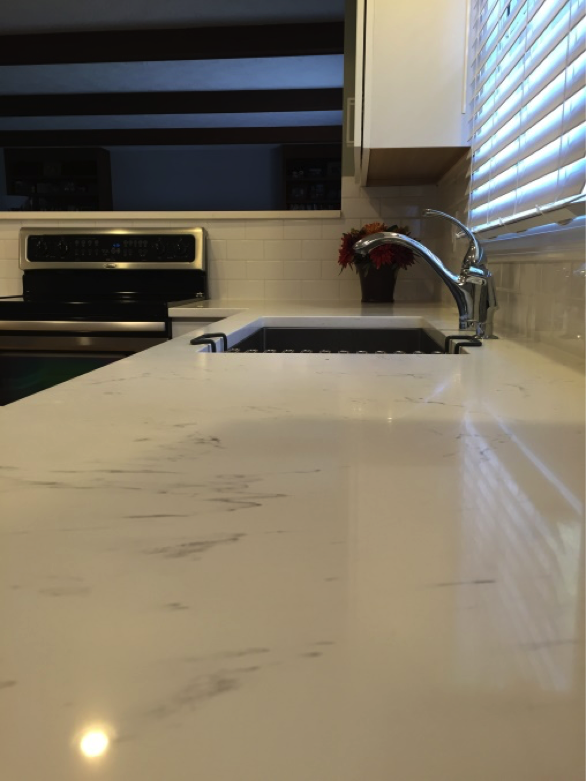 These countertops are gorgeous but it’s important to know how to care for granite properly. 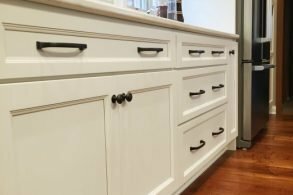 How do you protect your granite countertop from staining and damage? 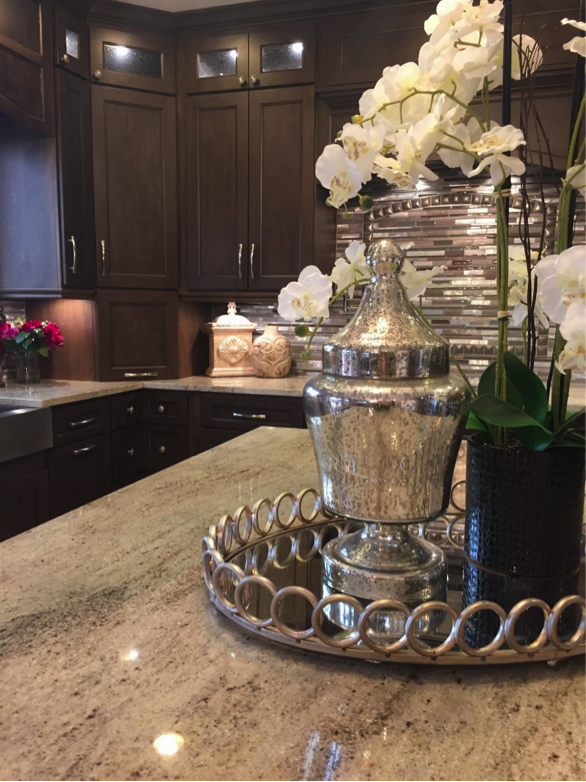 Is it possible to keep your granite looking as beautiful as the day it was installed? The first step is to use a solvent-based sealer (called an impregnator) to seal your granite countertop. Granite is semi-porous, so if it isn’t sealed properly it can absorb liquid and leave a stain. Sealing is a simple process; all you need to do is apply the sealer with a soft cloth. Using an impregnator will not make your granite countertops stain proof, but it will give you more time to clean up a stain. Most granite countertops are sealed prior to installation, but we recommend reapplying an impregnator every two years. Speaking of stains, how you clean spills on your granite countertop is incredibly important. The best thing to do to keep your countertops clean is to wipe up spills immediately with a soft, wet sponge. Avoid using acidic cleaners, like vinegar, to clean your granite countertop, and never use an abrasive cleaner or sponge. It’s also important to protect your granite countertops from items that could scratch them or cause discoloration. Always use cutting boards, coasters, and trivets to protect your granite from damage. Granite is a tough stone, but it can scratch, so you’ll want to treat it with care. Are you considering a granite countertop for your home? Do you have questions about how granite compares to other types of countertops? Contact us. We’ll answer all of your questions and help you find the countertop that fits your taste and your lifestyle. To see how we’ve used natural stone like granite in our projects, check out our project gallery, or follow us on Instagram.